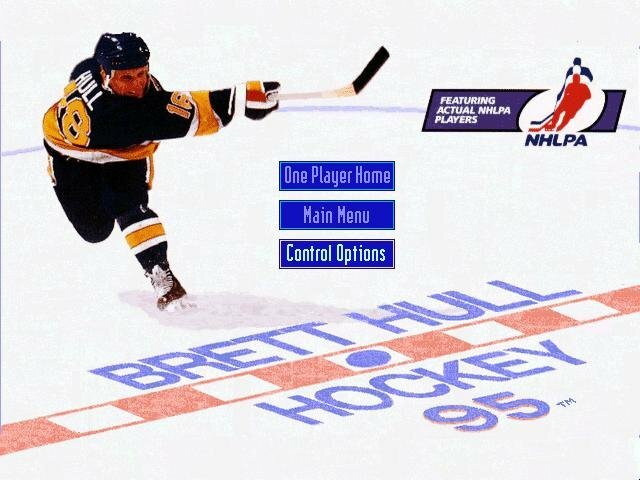 Publisher Accolade’s answer to EA’s NHL series is Brett Hull Hockey 95. 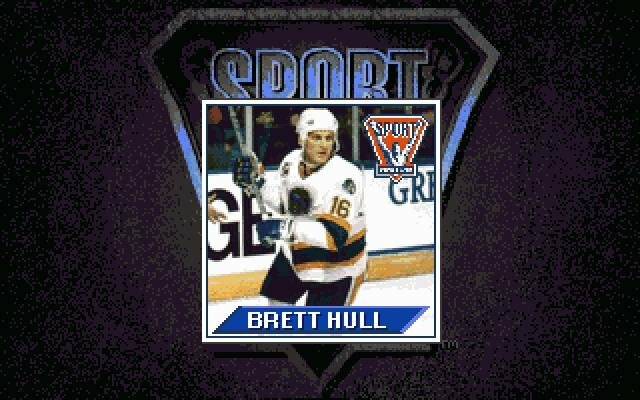 And even though Brett Hull contains many of the same premium ingredients that made NHL a hit (like play-by-play voice-overs and complete player stats), it’s far from a recipe for success. Sure, Brett Hull provides a good dose of arcade-style action, but it fails to deliver the kind of statistical depth you’d expect from a true simulation. 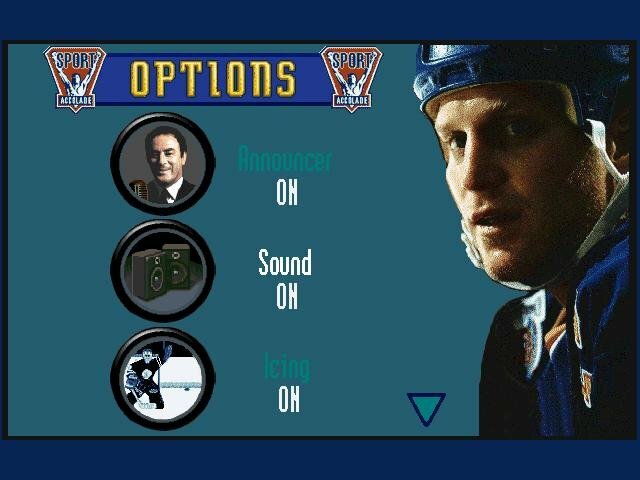 For sim fans, the biggest disappointment will be the lack of trading options and the inability to edit individual player strengths to create Stanley Cup contenders from the ground up. 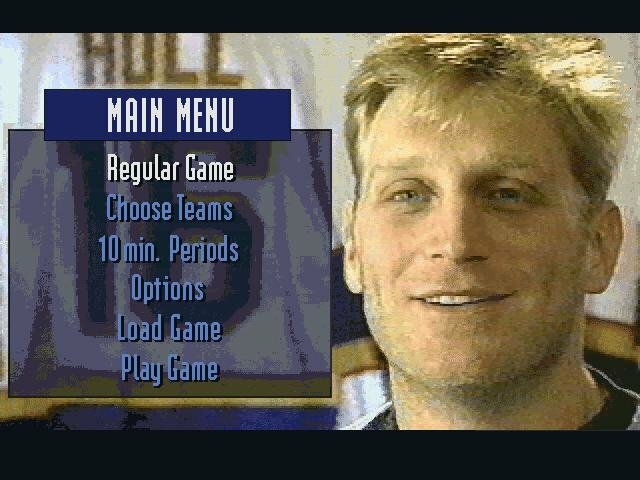 Brett Hull presents gamers with limited coaching and line-editing options before each game — but they don’t seem to affect the outcome one bit. 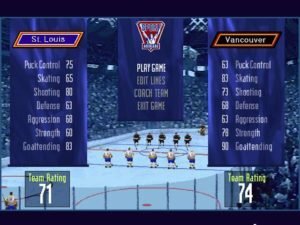 When using the coaching option, you won’t call plays or set defenses; instead, you’ll adjust a limited range of variables like puck-handling or shooting strength. 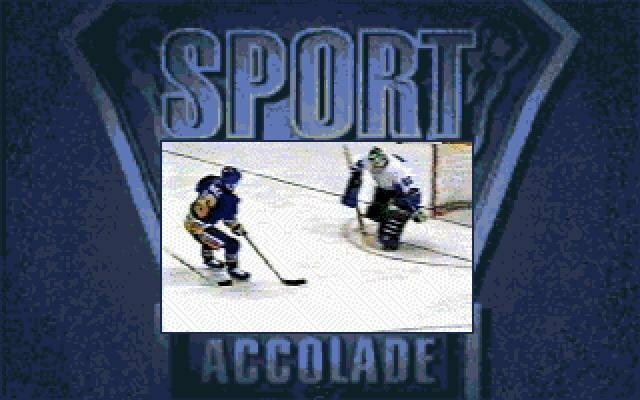 Unfortunately, to increase one attribute, you’ll have to steal points from another one. That’s fine if you choose from last year’s Cup contenders, but if you want to pick a team that’s weak in nearly every area in hopes of turning them around, you’ll find it’s nearly impossible to adjust their values to a winning advantage. And in truth, even if you raise your offense or defense to their highest values, you won’t notice any improvement. 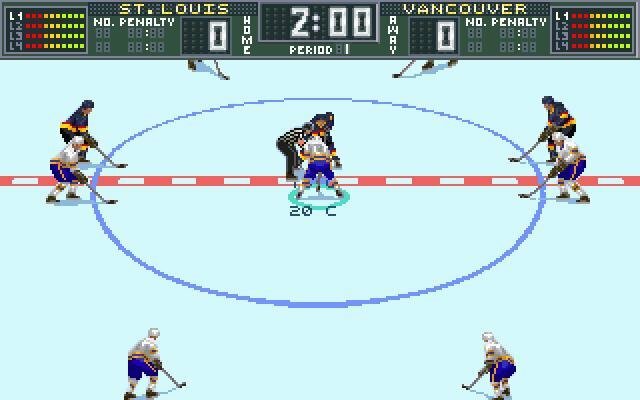 Soon, you’ll begin to avoid your favorite teams and choose from the few strong teams exclusively. 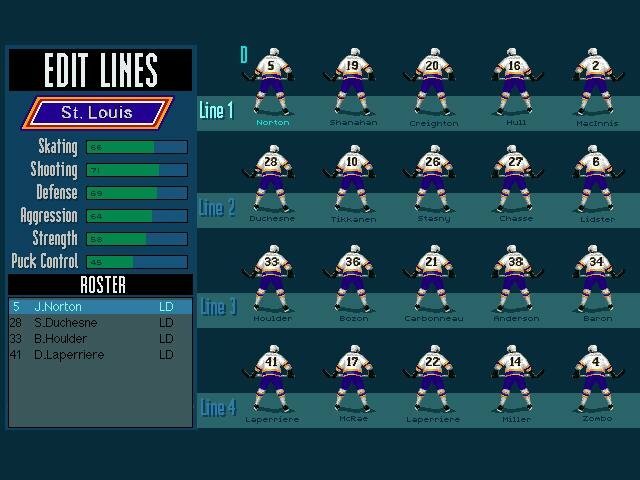 Editing the team lineup is a little more effective and very easy to use, but without the ability to import new players or adjust player strengths, you’ll probably only end up hurting yourself by making changes to the default lineups. 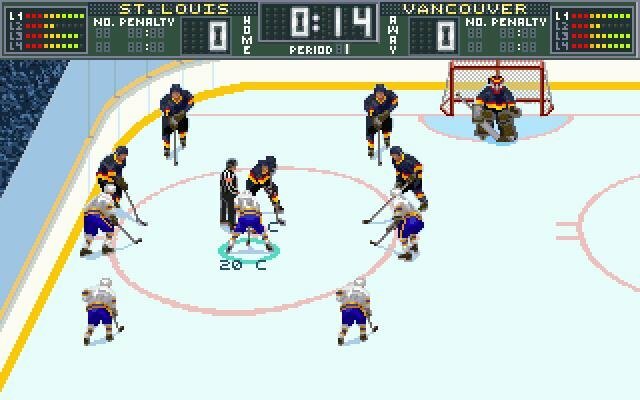 While the sim extras are disappointing, you’ll at least be rewarded with a challenging bit of on-ice action depicted with terrific graphics and animation. 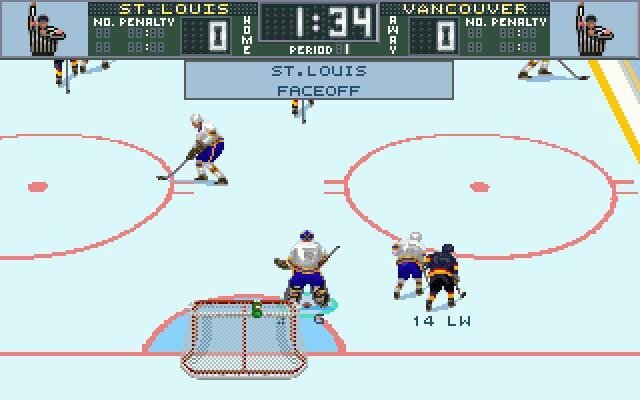 There’s a huge view of the rink with a great perspective over your players. 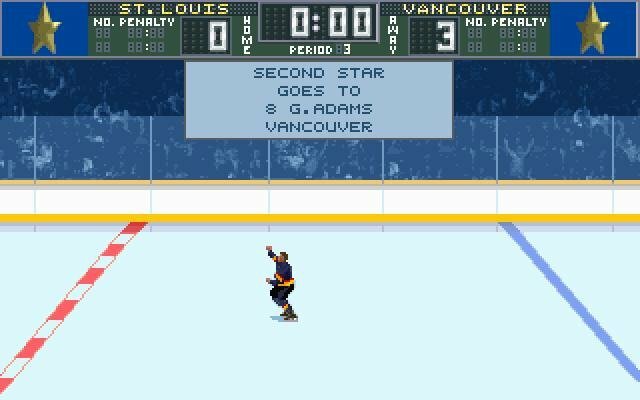 While it eliminates the sideline extras of spectators and penalty boxes, the graphics make up for it by serving up some amazing player animations. 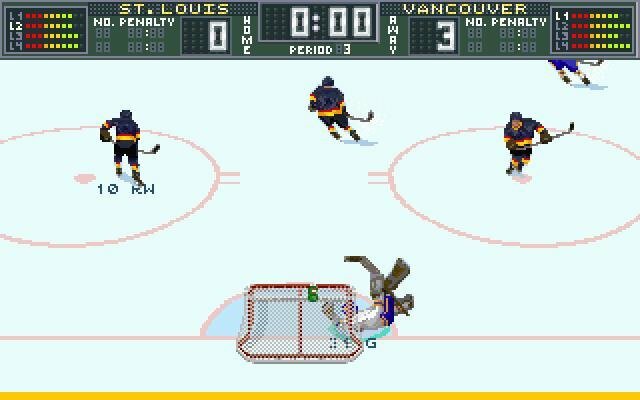 These are especially evident the first time you take a shot on goal and watch the defending goalie perform moves like glove-saves and stick-blocks. The players respond very smoothly and show off some cool moves of their own; whether you’re charging toward the goal and winding up for a slap-shot or issuing a body check, it’s all pretty convincing stuff. But as good as the action looks, you’ll still have to contend with some quirks. 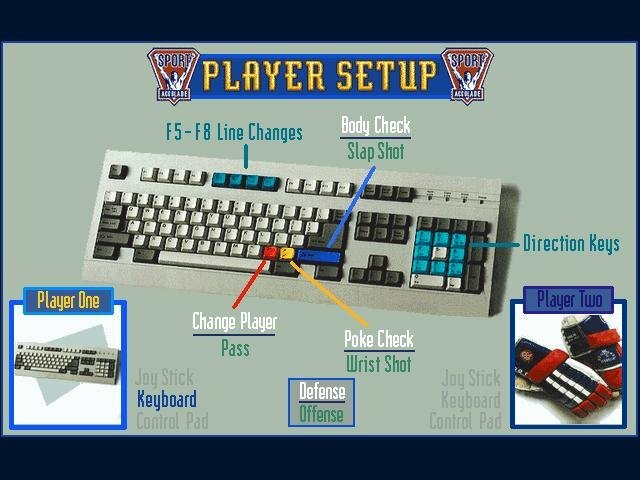 There’s not much diversity among the teams, and within a couple of games you’ll start to notice a few predictable patterns that favor the computerized team. 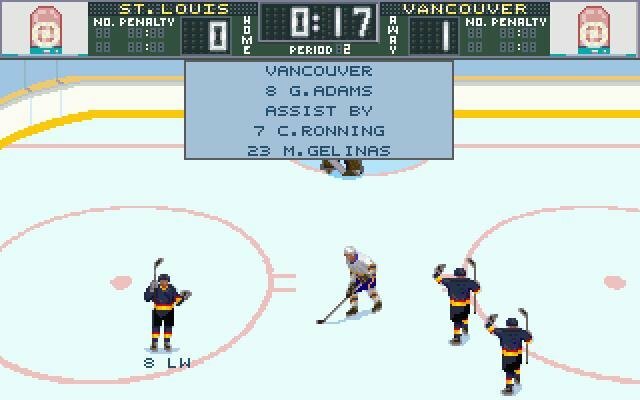 For example, the opposition almost invariably kept its defensemen paired closely in front of their goal, while mine could be found hanging around the blue line, allowing plenty of opportunity for breakaways and one-timers on my goal. It didn’t seem to matter which team I chose, this pattern was always the same.